Domkapa is famous to deliver outstanding executions. This time, they are presenting Capital, it is a collection that as the name implies presents an exclusive upholstery items selection that has as main inspiration bold design elements. It comes withe the Key pieces with daring details and materials’ combinations. How does this happen? Everything starts indoors. Domkapa’s design team works side to side with the production, and this organic synergy allows the creation of innovative designs. 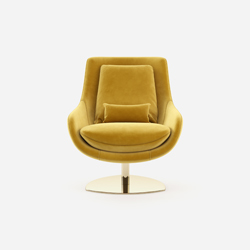 Elba armchair is a design statement with a 50’s style where velvet and metal get together to create the perfect piece. 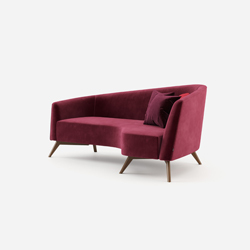 Kristen sofa a design piece that will stand out wherever would be placed. Big and Small versions available. Angelie armchair is an organic piece ready to be featured in several modern projects. A classic design with provocative colors and materials’ selection that aims to invoke creativity in global interior design projects.